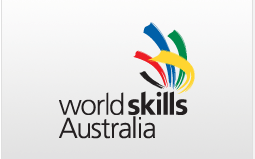 The Hunter and Central Coast regions will be well represented at the WorldSkills Australia National Competition. Twenty Hunter TAFE competitors will be amongst the 500 apprentices, trainees and students from all corners of Australia who will compete for the coveted title of ‘National Champion’ in over 50 skill categories, including Vehicle Painting, Bricklaying, Hairdressing, Programming, Cookery and Welding. Competing in the National Competition is part of the ultimate journey to greatness for these young competitors. Their journey began at the WorldSkills Australia Regional Competitions held in 31 regions across the country, including the Hunter and Central Coast regions. The impressive performance at the regional level by the competitors has secured their place at the National Competition, where the pressure will be on as they undertake three days of intensive competition. Wamberal’s, Mr Matthew Hurley, will be taking on the nation’s best in the Carpentry section. 21 year old Mr Hurley developed an interest in carpentry from his father, who is an industrial arts high school teacher. After graduating from Terrigal High, he was initially considering studying architecture or engineering at university but decided instead on carpentry. “I wanted the tactile experience. “To be able to follow through with a design and have something tangible to show for it,” he said. Mr Hurley now works for a Central Coast construction company, working on architecturally-designed residential homes. Mr Hurley will represent the Central Coast when he competes at the National WorldSkills competition in Melbourne this October. Other Central Coast competitors representing Hunter TAFE are: Mr Alexander Brown from Copacabana who will be competing in the Programming category and Mr David McGrath from Erina who is a contender in the Wall and Tiling category.